Spending time in the virtual world can be great fun. The only thing is, you can't feel the wind against your skin as you accelerate through every twist and turn. The Boxster celebrates real life. Whether it is known as a design classic, a powerful mid-engined sports car or a pure-bred roadster, it does full justice to its famous predecessors, such as the 356 No. 1 or the 550 Spyder. We were faced with the question of how it could do so in the future. As ever, the answer was to be found in the harmonious blending of style with functionality and of tradition with innovation. But what is harmony? Something quaint? Something soft and delicate? Not for us. This is why we have refined our idea of what a roadster should be and honed and sharpened it to give it a completely new expression. We achieved this with more performance — with more efficiency. With innovative technologies and intelligent lightweight construction. 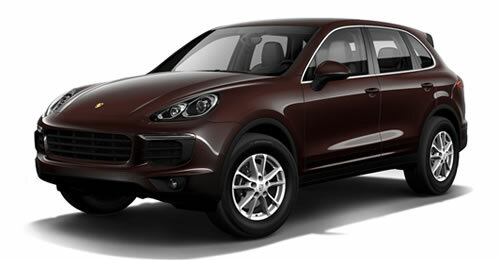 With a sporty exterior and interior with aesthetically appealing lines and curves in all the right places. The spirit of the pure-bred roadster is very much alive and kicking. More independent than ever before, it is even more powerful, visceral and intense. The precise, lightweight chassis ensures an impressively dynamic drive, with practically no body roll or pitch. Or, in short, a safer and more comfortable drive. 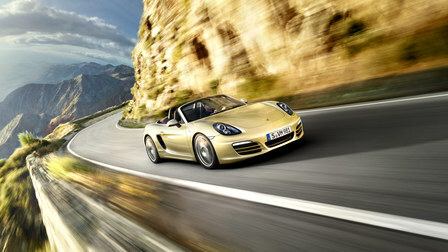 Power is transmitted to the road by 18-inch Boxster wheels. Their distinctive five-spoke design affords an unobstructed glimpse of the braking system's black four-piston aluminum monobloc fixed calipers. And you can keep an eye on the pressure in all four tires thanks to tire pressure monitoring (TPM). The large air inlets illustrate character. 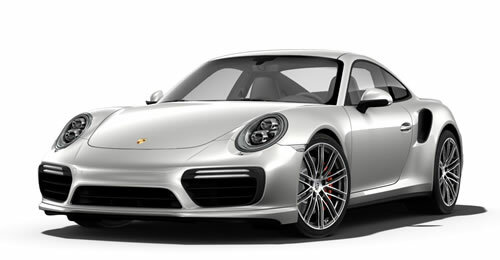 The sound produced by the central tailpipe in brushed stainless steel is unmistakably Porsche. High-quality, stylish materials are used in the interior. The steering wheel rim, gear lever/selector and door pull inlays are finished in leather. The refined tone is enhanced by silver-colored details, such as those found on the dashboard trim strip, the side and centre air vent surrounds and the centre console. We have redefined the Boxster in terms of its performance, and defined how the roadster of the future should look. In doing so, we have once again succeeded in creating an icon of independence. Just like its legendary predecessors, including the 550 Spyder, it is a Porsche that continues to epitomise the feeling of genuine freedom. 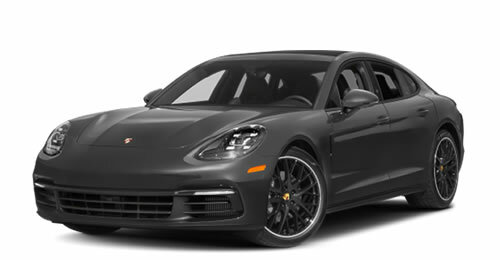 The vertical contour of the headlights has been taken from Porsche race cars of the 1960s and 1970s – and brought into the future. 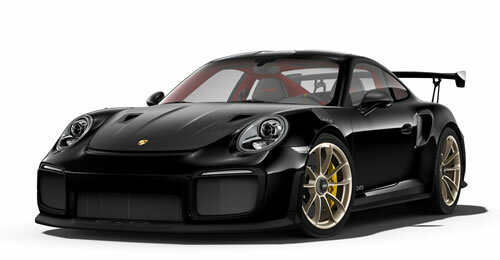 Large, imposing air intakes lend the front a powerful appearance. The side contour promises one thing: thrilling performance. The long wheelbase, the low, raked windscreen and the extremely sleek roofline when the roof is closed are integral to forming the stretched, wedge shaped silhouette. Large wheels, up to 20 inches in size and a wide track add to the style. The distinctive wings give further emphasis. 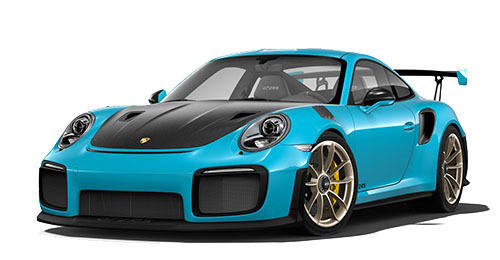 And, in combination with the side air intakes, also highlight the mid-engine layout – reminiscent of the 718 RS 60 Spyder. 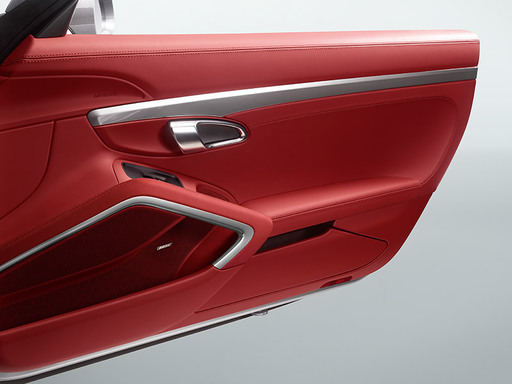 The dynamic contouring of the doors improves airflow to the side air intakes. At the top, it leads into a precise longitudinal edge and, at the bottom, it is underlined by the sculpted door sill. Precise lines, which run elegantly across the wings to the rear are something special, even for a Porsche. Another feature of the rear is the rear wing, which deploys automatically at 120 km/h to reduce lift. When retracted, it makes a seamless transition to the LED taillights. For striking effect, the reversing light and rear fog light are arranged in the middle underneath the rear wing. 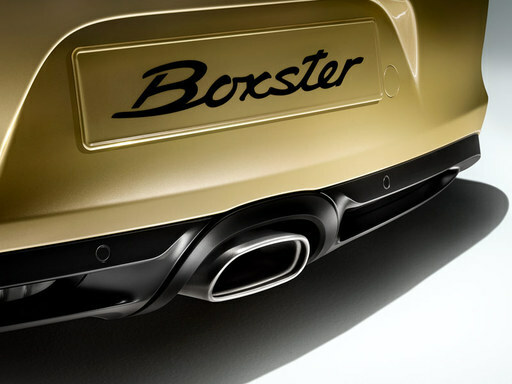 Underneath, the stainless-steel tailpipe (dual-tube on the Boxster S and Boxster GTS) adds the finishing touch to the powerfully designed rear end. 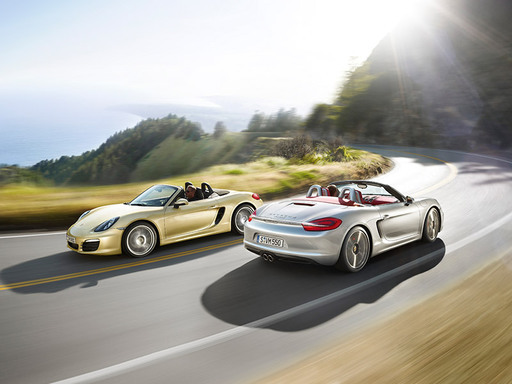 In summary, the Boxster draws inspiration from a long history. 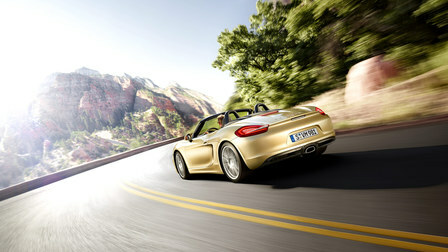 Yet it also reflects a completely new interpretation of the roadster concept – with a clear focus on looking forward. Every muscle is defined and ready. Just waiting for the driver to get going. The intelligent operating concept and the logical arrangement of the controls keep the driver's concentration purely on the road. The ascending centre console cocoons the driver perfectly and reduces the distance from the steering wheel to the gear lever for fast and ergonomic gearshifts. It's just one of the many principles that we've transferred from the racetrack to the road. The door styling is similarly dynamic. 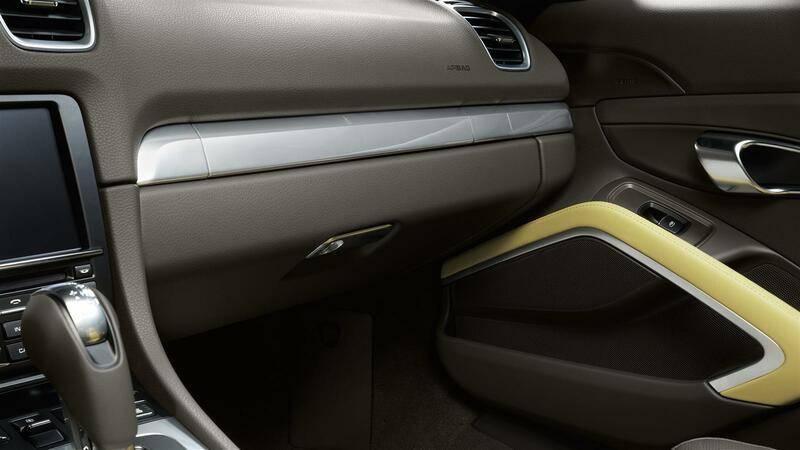 The door pulls mirror the lines of the centre console and blend seamlessly into the distinctive design. The door storage compartments are sweeping and practical. As you would expect from a sports car, the driver sits low down. 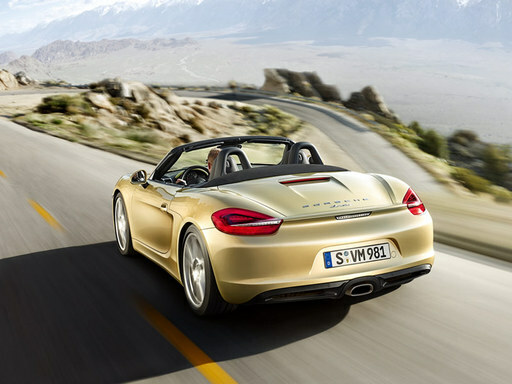 Sports seats are fitted as standard in the Boxster and Boxster S, Sports seats Plus in the Boxster GTS. 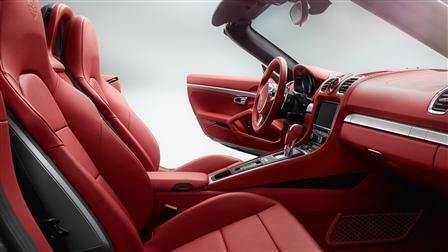 The athletic proportions of the Boxster models made it possible to introduce a new interior architecture. 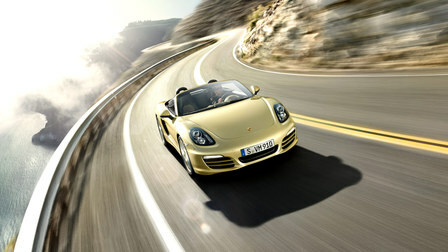 The result is a feeling of space and light without compromising the authentic roadster experience. Are you ready to assert your independence? The ignition lock, as ever, is on the left. The three-spoke sports steering wheel falls perfectly to hand. 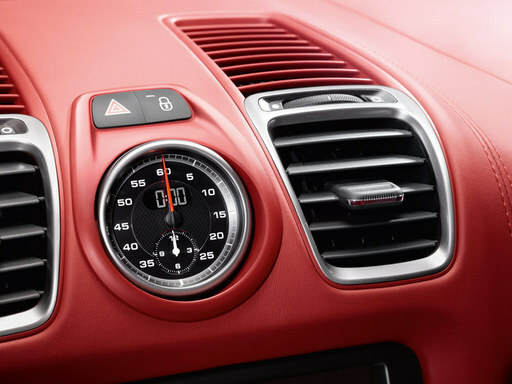 As is typical of a Boxster, there are three round dashboard instruments to provide you with all the information you need. In summary, the power, the contouring, the entire concept are all drawn in the direction of travel. 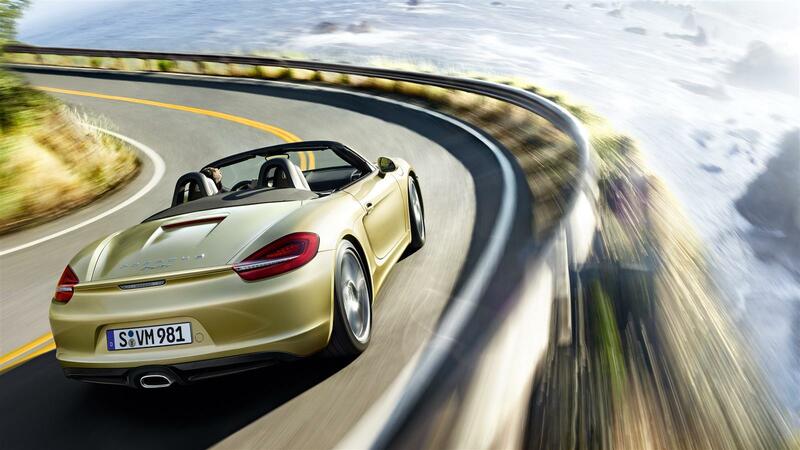 In other words, the Boxster is serious. Serious fun. 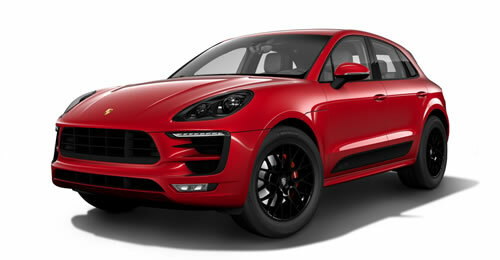 Its 2.7-litre flat-six engine with direct fuel injection (DFI) and VarioCam Plus produces 195 kW (265 hp) at 6,700 rpm, and maximum torque of 280 Nm between 4,500 and 6,500 rpm. The top speed is 264 km/h. 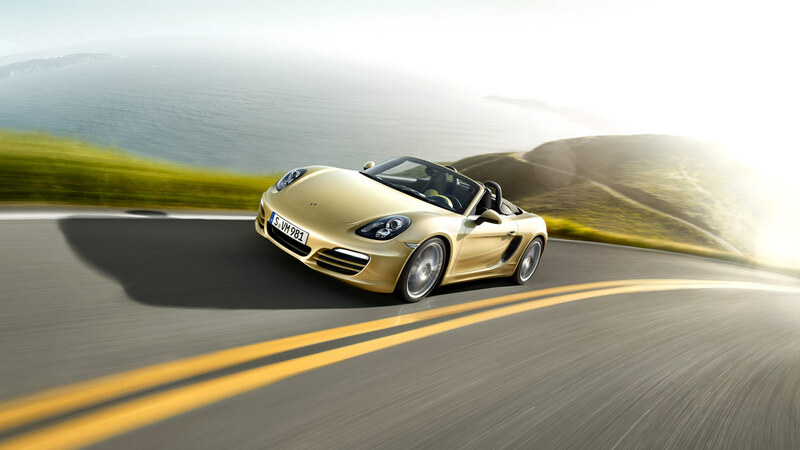 With the precisely geared sixspeed gearbox fitted as standard, the Boxster accelerates from 0 to 100 km/h in just 5.8 seconds. With the optional 7-speed Porsche Doppelkupplung (PDK), it races from 0 to 100 km/h in 5.7 seconds and achieves a top speed of 262 km/h. 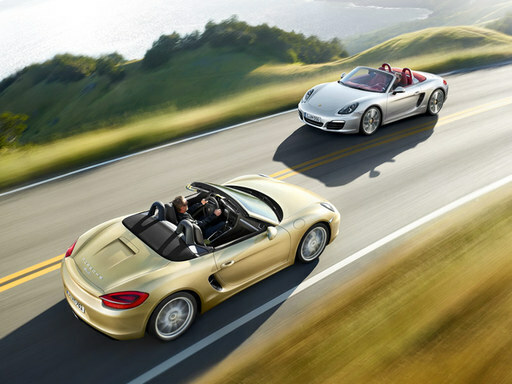 Together with PDK and the Launch Control feature of the optional Sport Chrono Package, the Boxster can accelerate from 0 to 100 km/h in a mere 5.5 seconds. The mid-mounted engine belongs at Porsche and it belongs in the Boxster. The advantages speak for themselves. The centre of gravity is low and in the middle, with the weight uniformly distributed between the front and rear axles. This is reflected in the well balanced handling characteristics and excellent manoeuvrability, especially when cornering. Combining the intrinsic values of high performance with comparatively low fuel consumption and emission figures. Made possible by racetrack engineering — for the road. The engines are equipped with VarioCam Plus and direct fuel injection (DFI) as standard. As well as efficient technologies such as auto start/stop, electrical system recuperation and enhanced thermal management. What else could we have given the midmounted engine? An even more agile response. One press of the SPORT button on the centre console makes engine performance even more dynamic for driving pleasure at the limits of performance. Thermal management Thanks to the selective heat flow control strategy and on-demand, gradual activation of the various cooling circuits, the engine and gearbox warm up to normal operating temperature more rapidly. The consequent reduction in friction also reduces fuel consumption and CO2 emissions. During sporty driving, thermal management also acts to reduce temperatures so that a high level of performance is maintained. Auto start/stop function The auto start/stop function, integrated as standard in the Boxster models, switches off the engine when you stop, select neutral and release the clutch pedal. 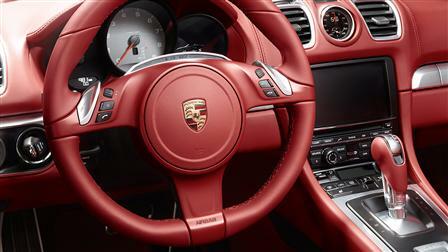 In cars with Porsche Doppelkupplung (PDK), it is simply a case of applying and holding the brake. All audio and communication systems remain switched on. The engine will restart as soon as you operate the clutch or, in cars with PDK, release the brake. This fuel-saving innovation is designed primarily for use in towns or congested motorway traffic. 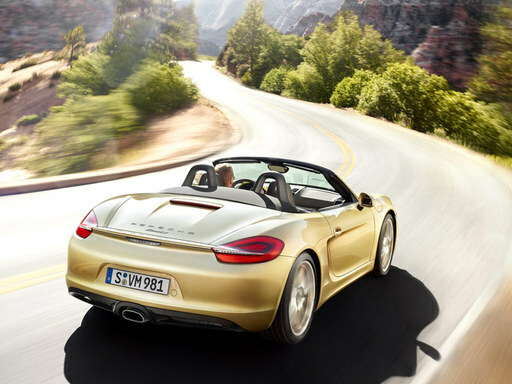 Electrical system recuperation Another efficiency-enhancing function in the Boxster models is electrical system recuperation. The vehicle battery is recharged by the generator predominantly under braking. Thanks to this selective recharging, when you request full driving power the maximum possible output can be directed straight to the road. Engine management The electronic engine management system ensures optimum engine performance at all times. It regulates all engine-related functions and assemblies. The results are optimum power output and torque with comparatively low fuel consumption and emissions. 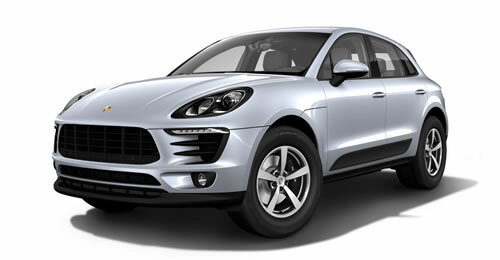 Available with Porsche Doppelkupplung (PDK), coasting enables you to save even more fuel where the situation allows. 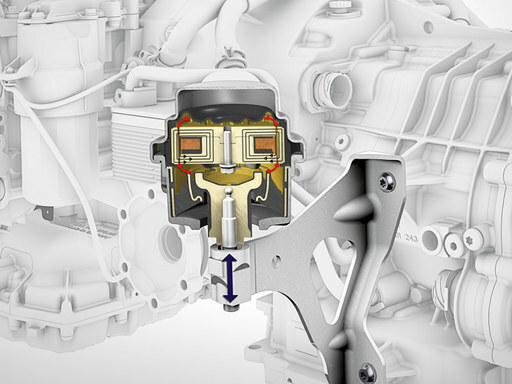 The engine is decoupled from the transmission to prevent deceleration caused by engine braking. The vehicle can then make optimum use of its momentum and coast for longer distances. This lowers fuel consumption noticeably. Without losing any comfort or sports performance. 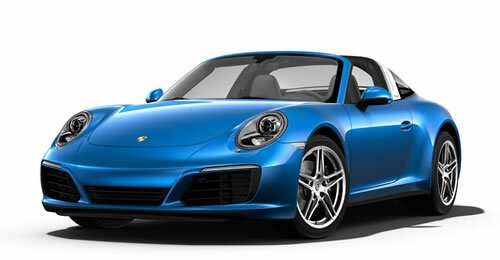 The Boxster models are equipped as standard with a lightweight six-speed manual transmission. Gearshifts are smooth and optimally adapted to the respective engine map. 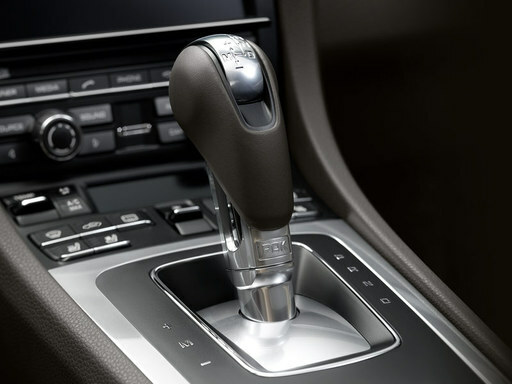 Shift throws are short and the gear lever is easy to operate. For a truly engaging driving experience. The upshift indicator located in the central round instrument helps reduce fuel consumption. 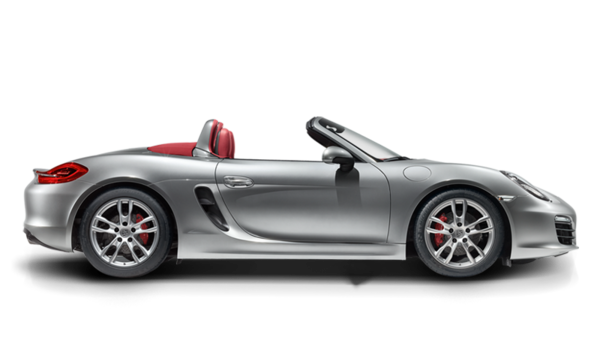 Available as an option for the Boxster models is 7-speed Porsche Doppelkupplung (PDK), featuring both manual and automatic modes. PDK offers extremely fast gear changes with no interruption in the flow of power, improved acceleration over the manual transmission, very short response times, reduced fuel consumption and a distinct increase in comfort. The design of PDK is similar to two conventional gearboxes in one. The odd numbered gears are housed on one assembly and the even numbered gears on another, each having its own clutch. While one gear is engaged, PDK preselects the next gear based on driver input. When the next gear is requested, drive is switched from one clutch to the other in milliseconds, delivering gear changes with no loss of drive. With the SPORT button selected, the full advantages of PDK are brought into play: a more immediate response to throttle inputs, even shorter shift times and swift, throttle-blip downshifts on overrun and when braking — always accompanied by an emotive engine sound. 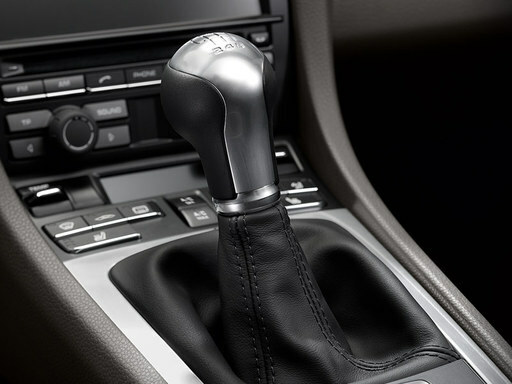 When combined with the optional Sport Chrono Package (standard in the Boxster GTS), gearshifts are sportier, shift times shorter. Other gearshift strategies are also available — for uncompromising driving enjoyment. The SPORT button on the centre console is fitted as standard. When selected, ‘Sport’ mode is activated to provide greater response and enhanced driving pleasure. Throttle response becomes even more direct, the rev-limiter is adjusted to a harder setting and engine dynamics are tuned for performance driving. The auto start/stop function is also deactivated. With the optional Porsche Doppelkupplung (PDK) transmission, the shift points are reconfigured to operate at higher engine speeds. Shift times are reduced and gearshifts become firmer and more immediate, while throttle-blip downshifts are accompanied by an emotive engine sound. Coasting mode is deactivated automatically. 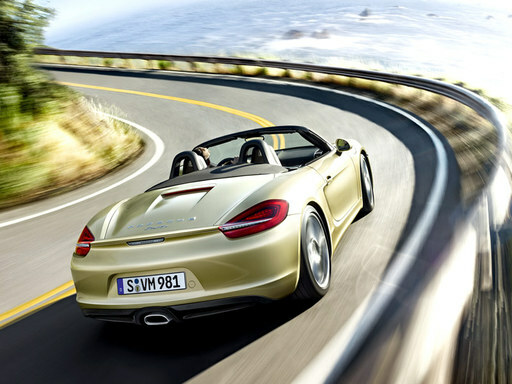 In the Boxster models, each cylinder bank has its own stainless-steel exhaust tract. Integrated catalytic converters and four corresponding Lambda sensors are used to keep emissions low. 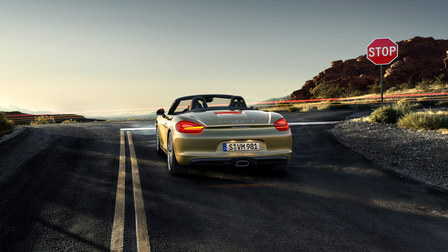 Downstream of the respective rear silencers, the system converges into a connecting tube and a single (Boxster) or twin (Boxster S and Boxster GTS) tailpipe. The Boxster models are equipped with direct fuel injection (DFI) as standard. Multi-hole injectors deliver fuel straight to the combustion chamber with millisecond precision. DFI also improves the internal cooling of the combustion chamber by having the mixture prepared directly in the cylinder. The higher compression ratio provides more power output at the same time as higher engine efficiency. VarioCam Plus is a two-in-one engine concept for adjusting the intake camshafts and switching the lift of the intake valves. The system first differentiates between driver inputs that typify normal, everyday driving and those inputs that demand maximum performance. The electronic engine management system then imperceptibly adapts valve operation to the prevailing conditions. This results in instant acceleration and extremely smooth running with comparatively low fuel consumption. Integrated dry-sump lubrication ensures a reliable supply of oil, even when a sporty driving style is adopted and the vehicle is experiencing powerful lateral acceleration. It also has additional cooling functions. The electronic oil pump, which is activated as and when required, also lowers fuel consumption, thus reducing emissions. 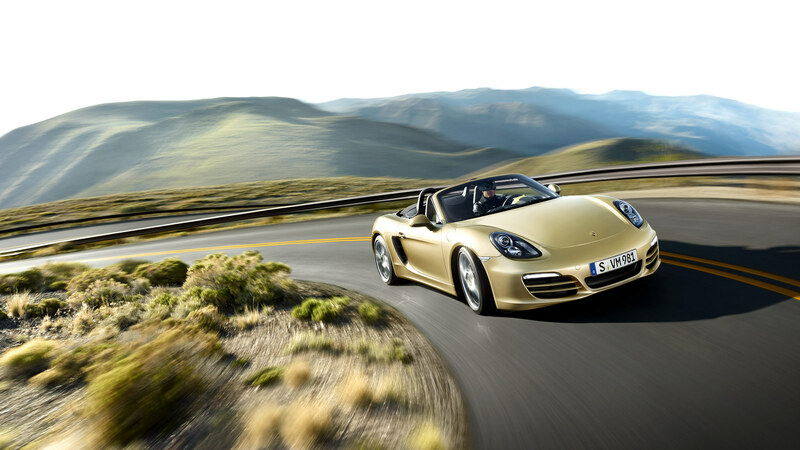 The Boxster models have electromechanical steering. 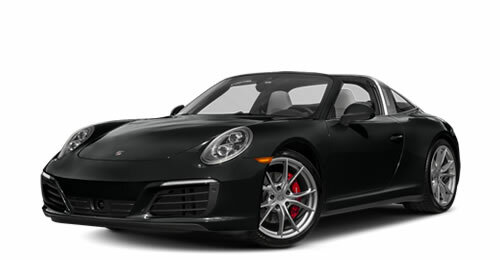 With a variable steering ratio, the steering system responds precisely, directly and more efficiently, as you would expect from a Porsche. The electric motor uses energy only when the steering wheel is actually turned. And the absence of hydraulic fluid eliminates the need for servicing. Power steering Plus, the optional speed-sensitive power steering system, ensures easier manoeuvring and parking, thus providing even greater comfort. The Boxster concept was designed to offer outstanding cornering performance. 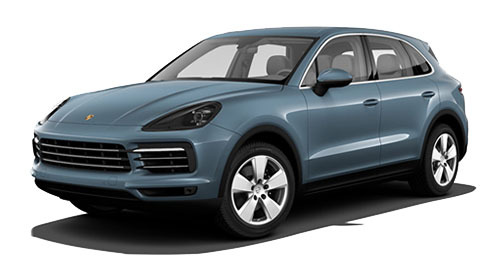 The steering system delivers and it even improves the typical Porsche steering feel. It features a variable steering ratio and responds precisely and directly as well as providing customary agility, a high level of comfort and plenty of direct feedback from the road. Power steering Plus, the optional speed-sensitive power-steering system, minimises steering effort during manoeuvring and parking. Time is precious and every hundredth of a second counts. The Sport Chrono Package, available as an option for the Boxster and Boxster S and fitted as standard in the Boxster GTS, provides you with a priceless driving experience, thanks to an even sportier tuning of throttle response and handling characteristics. The package comprises dynamic gearbox mounts, a performance display, a digital and analogue stopwatch and the SPORT PLUS button. 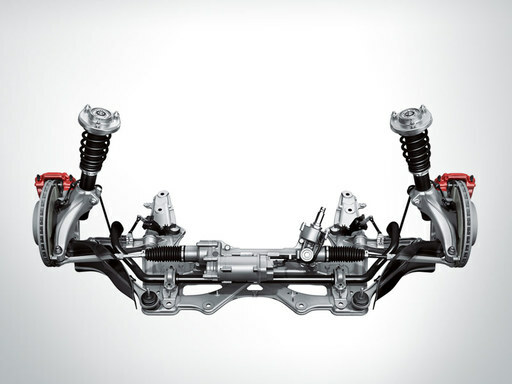 When this is pressed, optional Porsche Active Suspension Management (PASM), fitted as standard in the Boxster GTS, switches to ‘Sport’ mode for harder damping and more direct steering and therefore, even more intensive roadholding. The trigger threshold for PSM is raised. Agility is perceptibly enhanced when braking for corners with PSM, allowing even sportier braking and exit acceleration. For increased dexterity, PSM can be set to standby while the car is still in SPORT PLUS mode. For safety, it is set to intervene automatically only when ABS assistance is required. The throttle-blip function produces even sportier gearshifts. A managed burst of throttle ensures smooth load changes for increased stability and makes the gearshift process an even more engaging experience. In conjunction with the optional Porsche Doppelkupplung (PDK), the Sport Chrono Package comes with two additional functions for a sporty drive bordering on a motorsport experience. The first is ‘Launch Control’, which is designed to produce a racing start. The second function is the motorsport derived gearshift strategy. 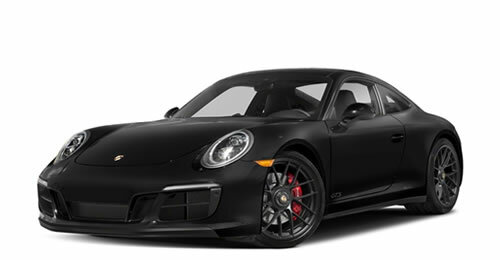 Using this, Porsche Doppelkupplung (PDK) is geared up for very short shift times and optimum shift points, while torque boosts during gear changes provide the maximum acceleration available. This involving experience is further enhanced by overrun downshifts and the throttle-blip function for uncompromising driving pleasure. 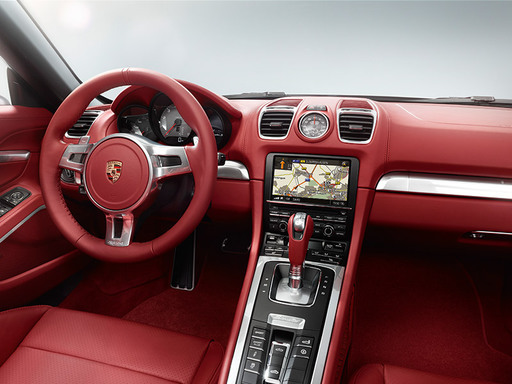 An additional display in the steering wheel or instrument cluster shows when the SPORT buttons have been pressed and, with PDK, when Launch Control has been activated. 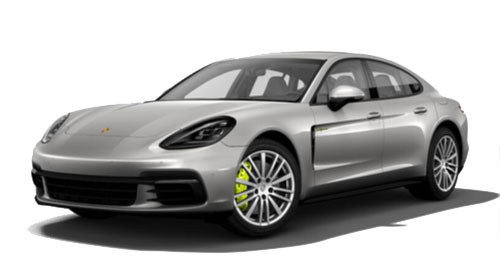 In conjunction with the optional Porsche Communication Management (PCM), a special display enables you to view, store and evaluate lap times or other driving times. It shows the total driving time, lap distance, lap number and lap times recorded so far. The Sport Chrono Package also includes dynamic gearbox mounts. The electronically controlled system minimises the oscillations and vibrations of the entire drivetrain, particularly the engine, combining the advantages of hard and soft gearbox mounts. Hard gearbox mounts are best for dynamic performance because they contribute towards greater driving precision. On the other hand, soft gearbox mounts minimise oscillations and vibrations. This increases comfort on uneven roads, but at the expense of dynamic performance. Dynamic gearbox mounts adapt their stiffness and damping performance to driving style and road surface conditions. This is achieved using a fluid with magnetic properties and an electrically generated magnetic field. For you, this means that the gearbox mounts change according to the conditions. Under load change conditions and in fast corners, handling is much more stable, while, with a more moderate driving style, comfort is increased thanks to the softer setting of the dynamic gearbox mounts. This results in a thrilling sports performance when cornering – as well as a more comfortable ride. With the SPORT or SPORT PLUS button you can switch the dynamic gearbox mounts from â€˜Normal' to â€˜Sport' or â€˜Performance' mode. In conjunction with the optional PCM, you can view the lateral and longitudinal forces as they act on the vehicle on the colour screen in the righthand circular instrument. This optional system for increasing dynamic performance and stability varies the distribution of torque to the rear wheels and includes a mechanically locking rear differential. When the car is driven assertively into a corner, moderate brake pressure is applied to the inside rear wheel, inducing an additional rotational pulse (yaw movement) around the vehicle's vertical axis. This results in a direct and sporty steering action as the car enters the corner. At low and medium vehicle speeds, PTV significantly increases agility and steering precision. At high speeds and when accelerating out of corners, the rear differential lock ensures greater driving stability and traction on a range of surface conditions, including the wet and snow. The results are remarkable stability, excellent traction, dynamic cornering at every speed, with precise steering and stable load transfer characteristics. And, of course, lots of fun at every twist and turn – typical of the Boxster. 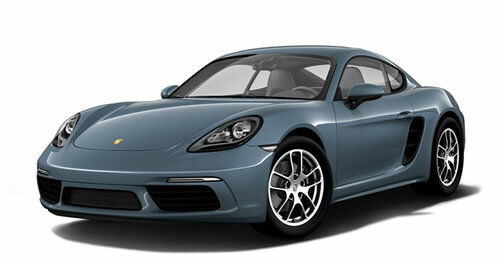 PASM is available as an option on Boxster and Boxster S and is fitted as standard in the Boxster GTS. It is an electronic damping control system which actively and continuously regulates the damping force for each wheel according to the road conditions and driving style. In addition, the suspension is lowered by 10 mm. The system is always active in the background, ready to assist you automatically without having to be switched on. 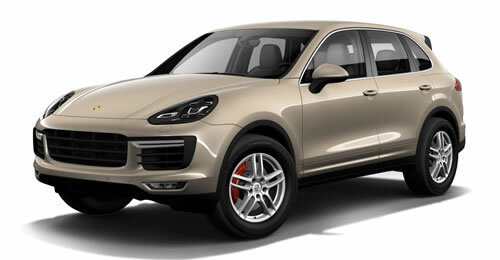 However, with the press of a button, you can adapt it to your preferred style of driving. There are two different modes to choose from: â€˜Normal', which is a blend of performance and comfort, and â€˜Sport', where the setup is much firmer. Depending on the mode selected, therefore, PASM can be either sportier or more comfortable than the standard chassis. The results are tangible: increased driving stability, enhanced driving pleasure and improved performance. Performance calls for stability. 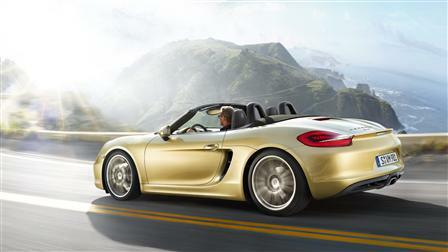 The Boxster is therefore equipped with 18-inch alloy wheels as standard. 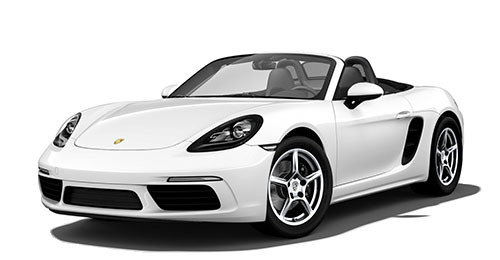 The Boxster S has 19-inch wheels with a classic fivespoke design, ensuring firm contact between the vehicle and the road. 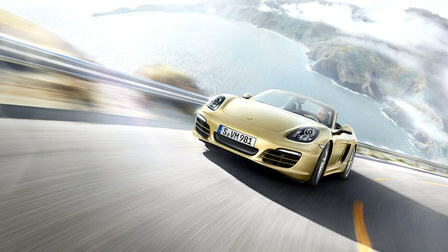 The Boxster GTS emphasises its roadholding capacity with 20-inch Carrera S wheels with a dynamic 10-spoke design. 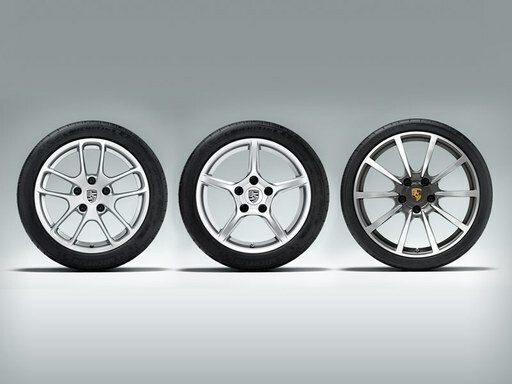 Or, if you prefer, you can choose alternative wheels which are available as options in sizes up to 20 inches. Tyre pressure monitoring (TPM) is fitted as standard. It sends warnings to the on-board computer's display screen in the event of low tyre pressure. The screen in the instrument cluster enables the driver to check the pressure in all four tyres. The system updates quickly and accurately after an engine start, tyre pressure correction or wheel change — for your safety and convenience. Performance is reflected in excellent acceleration values. And we take account of both positive and negative acceleration. 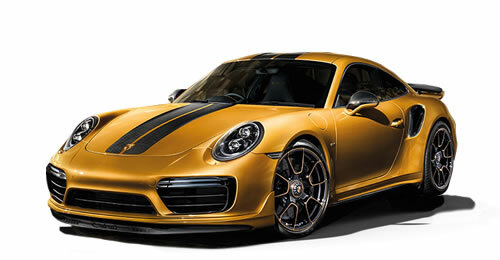 Which is why Porsche also traditionally sets standards for stopping power and stability. Braking power is a multiple of engine power. 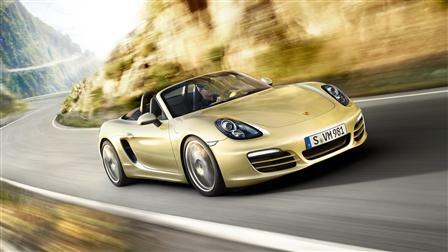 The Boxster models are equipped with four-piston aluminium monobloc fixedcaliper brakes. This design means that, not only are the brakes extremely resistant to deformation, they are lightweight for a particularly fast and sensitive braking response. Even during continuous use. Brake cooling has also been optimised by the brake ventilation system with air spoilers at the front and rear axles. The dynamics of the Boxster models also demand appropriate brake discs. These are internally vented and cross-drilled for improved braking in wet conditions. 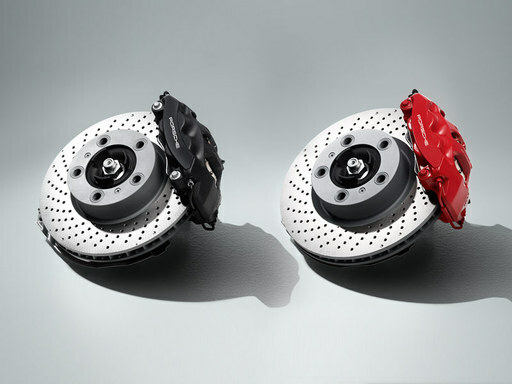 With a diameter of 330 mm, the front brake discs of the Boxster S and Boxster GTS are 15 mm larger than those of the Boxster. The diameter of the rear brake discs is 299 mm on all models. Porsche Ceramic Composite Brake (PCCB) The optional Porsche Ceramic Composite Brake (PCCB) has proven itself in motorsport. The cross-drilled brake discs have a diameter of 350 mm front and rear for even more formidable braking performance. 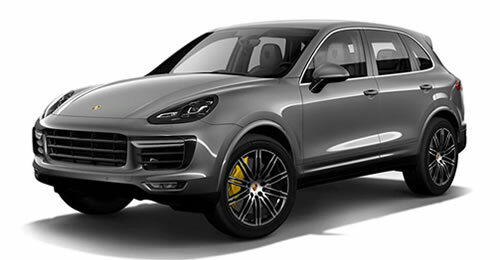 The use of six-piston aluminium monobloc fixed brake calipers on the front axle and four-piston units at the rear — all painted yellow — ensures extremely high brake forces which, crucially, are exceptionally consistent. PCCB enables shorter braking distances in even the toughest road and race conditions. Another key advantage of PCCB is the extremely low weight of the ceramic brake discs, which are approximately 50 % lighter than standard discs of similar design and size. As well as enhancing performance and fuel economy, this also represents a major reduction in unsprung and rotating masses. The consequence of this is better roadholding and increased comfort, particularly on uneven roads. In addition to the regular servicing work performed within the standard service intervals, additional servicing should be performed if used on the race track. Electric parking brake The electric parking brake, which can be activated and deactivated manually, is released automatically as you pull away with your seat belt fastened. A hold function is integrated as standard. It assists you in making a comfortable, smooth and roll-free start on an incline. Lights will always be an essential safety feature, but we go one step further by using them as part of an extraordinary styling concept. 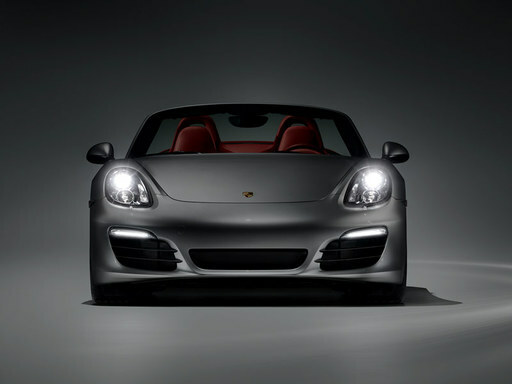 Clear glass halogen headlights are fitted as standard on the Boxster. 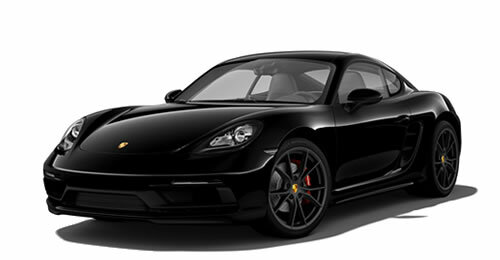 The Boxster S is equipped as standard with Bi-Xenon headlights while the Boxster GTS has Bi-Xenon headlights including Porsche Dynamic Light System (PDLS). 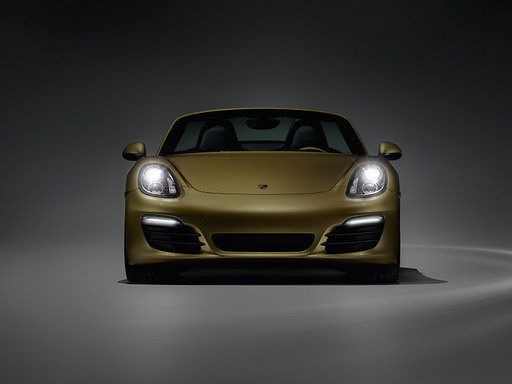 On all Boxster models, LED daytime running lights and position lights are integrated in the air inlets. 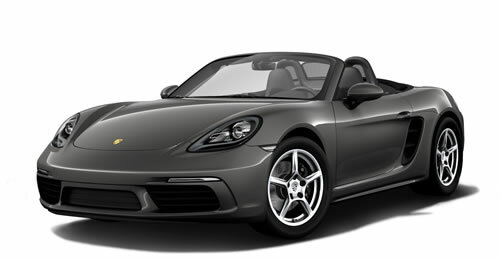 All Boxster models are also equipped with automatic headlight activation as standard. This automatically switches between daytime running lights and dipped beam based on ambient lighting conditions. LEDs provide powerful illumination, respond rapidly to driver input and are more energy efficient with a longer service life. They are also used in the taillights, ensuring optimum safety and creating a look that is unmistakable, day and night. 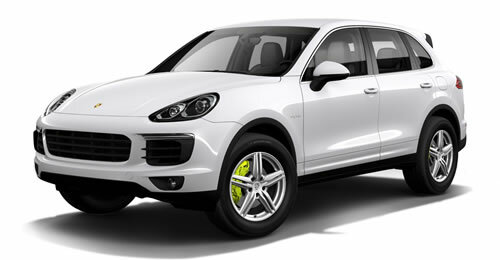 Porsche Dynamic Light System (PDLS) Bi-Xenon headlights including Porsche Dynamic Light System (PDLS). 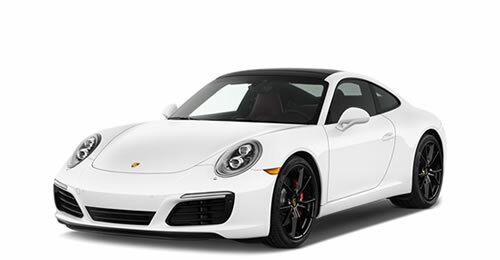 Porsche Dynamic Light System (PDLS) Boxster models. Comprising Bi-Xenon main headlights with halogen main beam headlights, a headlight cleaning system and automatic dynamic range control, it provides uniform illumination of the road whether dipped or main beam is selected. The dynamic cornering light function swivels the main headlights towards the inside of a bend based on the steering angle and road speed. In addition, PDLS adapts light distribution to suit your current driving speed. The adverse weather function is activated when the rear fog light is switched on. The result is increased safety – not least in corners and not only at night. 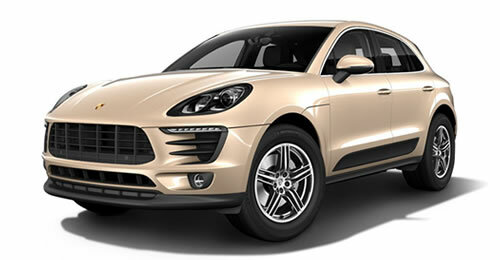 The optional Porsche Dynamic Light System Plus (PDLS+) has an additional feature. Dynamic main beam control identifies the car in front as well as oncoming traffic and adapts the range of the light cone automatically to the particular situation, switching smoothly between dipped and main beam. 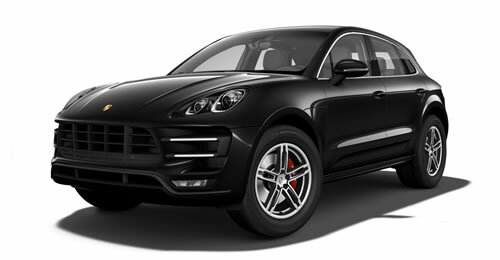 Porsche Stability Management (PSM) is fitted as standard. 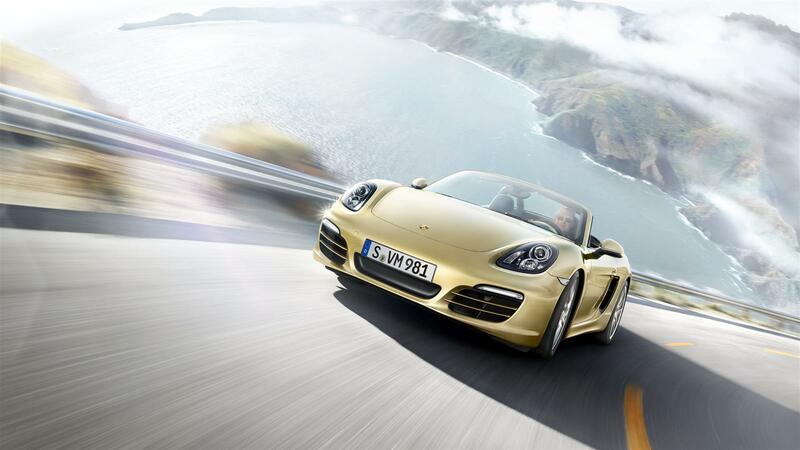 This system automatically maintains stability, even at the limits of dynamic driving performance. Sensors continuously monitor the speed, yaw velocity and lateral acceleration of the car. Using this information, PSM is able to calculate the actual direction of travel at any given moment. If the car begins to oversteer or understeer, PSM applies selective braking on individual wheels in order to restore stability. When accelerating on wet or low-grip road surfaces, PSM improves traction – as well as agility and safety – using the automatic brake differential (ABD) and anti-slip regulation (ASR). 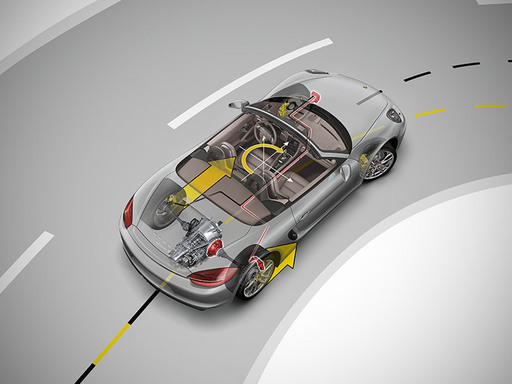 Integrated ABS is designed to minimise braking distances. Prefer an ever sportier drive? PSM can be switched off. For your safety, however, PSM remains set to intervene if the vehicle is braked and ABS assistance is required. ABS and ABD remain switched on at all times. Also included with PSM are engine drag torque control (EDC), precharging of the brake system and brake assist. If you suddenly release the accelerator pedal, PSM automatically prepares for your next action: the braking system is precharged so that the brake pads are already in light contact with the brake discs. Maximum braking power is therefore achieved much sooner. Brake assist detects a panic braking situation and generates the brake pressure required for maximum deceleration. 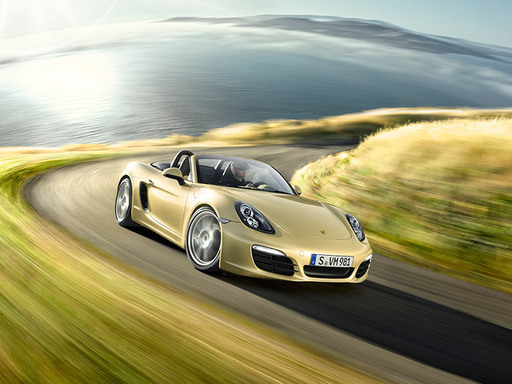 In brief, PSM increases stability and safety – while providing the agility that you expect of a Porsche. 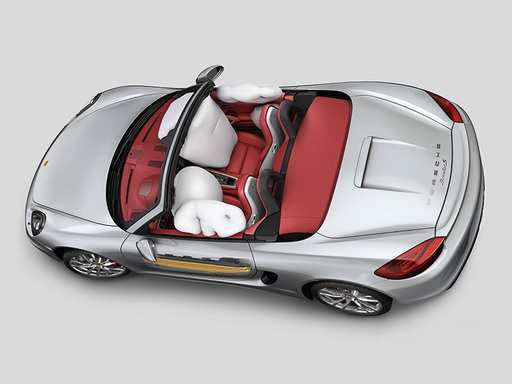 To protect the driver and passenger, the Boxster models are equipped with full-size airbags, which are inflated in two stages depending on the severity and type of accident (e.g. frontal or offset frontal). In less serious accidents, the airbags are only partially inflated, thereby minimising discomfort to the occupants. In addition to the central airbag control unit on the transmission tunnel, a pair of impact sensors is located near the headlights. This allows a crash to be detected and evaluated far sooner and with considerably greater accuracy. 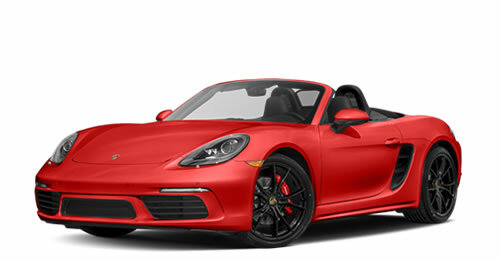 Porsche Side Impact Protection System (POSIP) The Boxster models are equipped as standard with the Porsche Side Impact Protection System (POSIP). It comprises two side airbags on each side. An integral thorax airbag is located in the outer side bolster of each seat, while the door panels each contain an upwards-inflating head airbag. Each thorax airbag has a volume of 10 litres and each head airbag 15 litres, ensuring excellent protection in the event of a side impact, even with the hood open. POSIP additionally includes steel side impact protection elements in the doors. Dual roll-over protection creates survival space in the event of a roll-over or side impact. The front roll-over protection element is made from super and ultra high-strength steels. 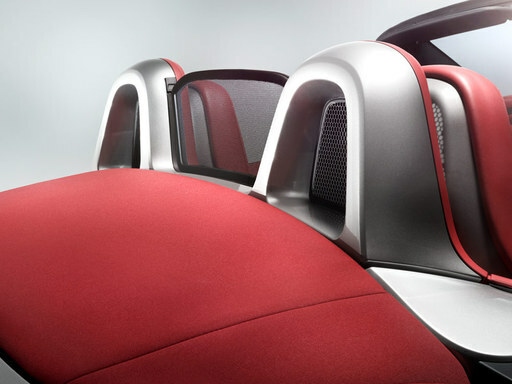 The rear roll-over bars located behind the seats are a composite construction of aluminium and steel. They are fully trimmed to blend in and provide an excellent level of safety. The upper seat belt guides are mounted on the roll-over bars for easier fastening. 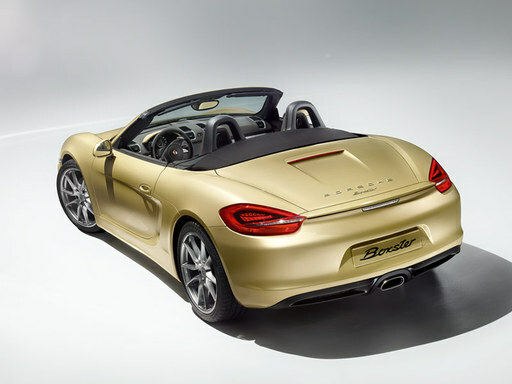 The bodyshell of the Boxster models is based on an intelligent lightweight body in aluminium and steel composite. The use of dissimilar but precisely combined components makes it possible to utilise specific material properties exactly where they are needed. Not only does this provide a high degree of safety for the driver, it offers a considerable weight saving compared with the bodyshell of the previous model. This is why the doors, the luggage compartment lid and the rear hatch are made from lightweight aluminium. The crumple zones in the front and rear aprons feature integral light-alloy bumpers, while impact absorbers offer additional safety. For the protection of occupants, energy-absorbing padding is used selectively in important areas within the passenger cell. 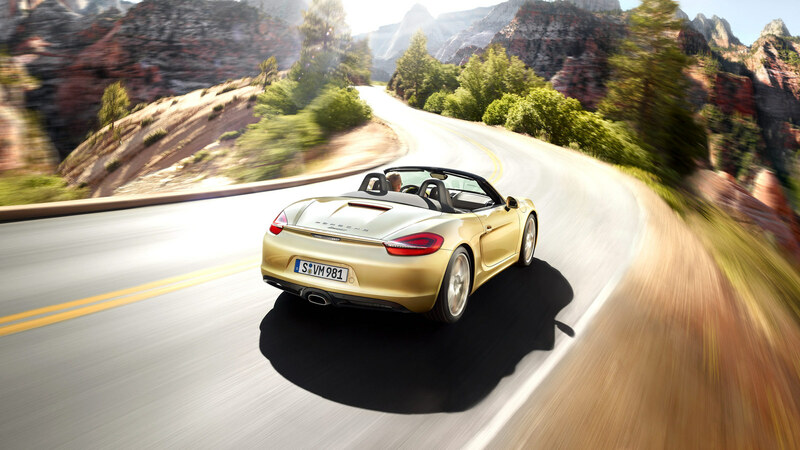 The Boxster models are equipped as standard with an immobiliser with in-key transponder. 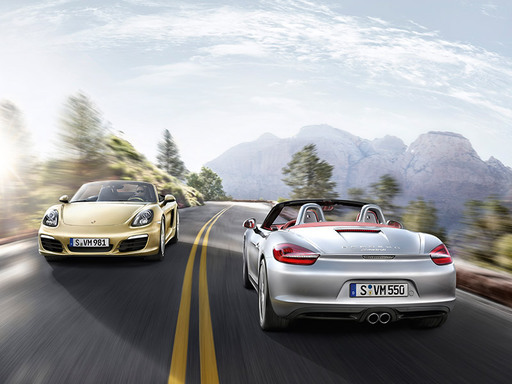 The Boxster S and Boxster GTS have an alarm system with contact-sensitive exterior protection. A radar-based interior surveillance system is available to protect the interior of the vehicle. 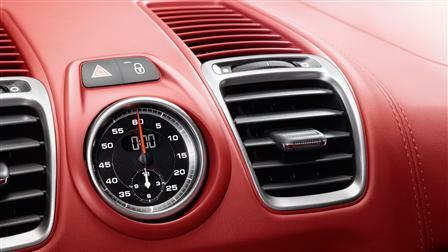 A combined alarm and radar-based interior surveillance system is available as an option for the Boxster. 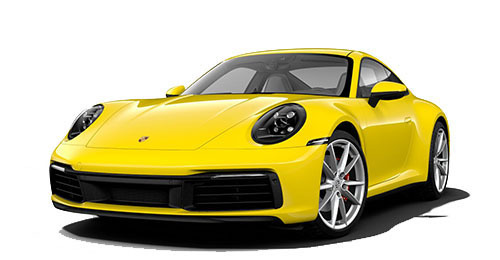 Available as an option, this preparation enables the future installation of the Porsche Vehicle Tracking System (PVTS) available from Porsche Tequipment. The system makes it possible to locate a stolen vehicle across most of the countries of Europe. The preparation package includes a special wiring loom and a tilt sensor for the alarm system. The generously proportioned interior is light and offers plenty of space for driver and passenger comfort. The ascending centre console integrates the driver optimally into the vehicle by positioning the gear lever extremely close to the steering wheel to enable fast and sporty gear changes. The individual controls are arranged clearly and most functions are easy and intuitive to use. The instrument cluster, with central rev counter and 4.6-inch colour screen provides you with all the information you need. The interior materials are high-quality as can be seen, for example, in the silver-coloured details on the dashboard and the centre console. And in the sporty, yet stylish leather trims. The steering wheel rim, gear lever/selector and door pull inlays are finished in leather thus creating a balanced blend of design and functionality which is typical of Porsche. In the Boxster S, the door armrests and the centre console storage compartment lid are also finished in leather. The Boxster GTS is even sportier. 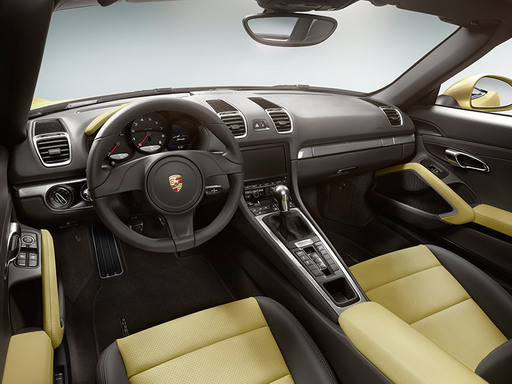 Together with the standard leather interior in black, Alcantara is used in the doors, the lower section of the dashboard and in the centre console. As well as in the centre of the Sports seats Plus, which also have the â€˜GTS' logo embroidered on the headrests. Another striking feature is the standard SportDesign steering wheel which, like the gear lever/selector, is also finished in Alcantara. 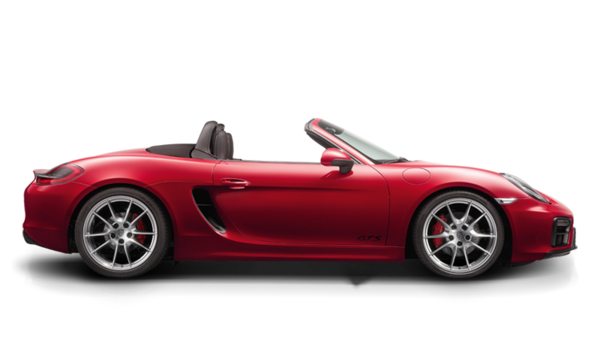 For the Boxster GTS, the GTS interior package is also available as an option, enabling you to emphasise its sports performance with the colours Carmine Red or Rhodium Silver. Still not enough for you? Then make use of the numerous options available in the Boxster model personalisation range. A selection of these can be found on the following pages. The optional PCM is your central information and communication system. It is powerful and multifunctional, yet easy to operate. The main feature is the intuitive 7-inch touchscreen. The CD/DVD drive is MP3 compatible. A six-disc CD/DVD autochanger integrated in the PCM is available as an option.With the universal audio interface in the glove compartment you can store up to 5,000 MP3 music files on the 40-GB internal hard drive. Alternatively, you can connect and even charge your iPod® or any other audio source. The device can be operated conveniently and safely via PCM, the optional multifunction steering wheel or the optional voice control system. The USB socket can also be used to download data from the performance display of the Sport Chrono Package, as well as data from the electronic logbook. The navigation module of PCM with high-speed hard drive allows you to choose between a 2D display and a 3D perspective. In some regions, terrain as well as buildings can be displayed in 3D with satellite image overlay. Split screen mode enables you to view two functions at once, such as the current navigation map and a list of symbols that represent the next navigation instruction. An electronic logbook is available for PCM as an option. The automatically recorded data can be analysed on your home PC. The software supplied fulfils all statutory requirements for automatic logbooks as specified by the German revenue authorities. You like to tell it straight. Almost all of the functions of PCM can be controlled using the optional voice control system with word-by-word input. With the free-to-download Aha Radio app, you can access radio, news feeds, podcasts and audiobooks directly with PCM. It is also possible to call up local information such as the weather. Point of Interest searches with subsequent direct selection as your navigation destination are also supported. Online content is received by your smartphone and controlled by means of PCM. For sophisticated ears, the optional Sound Package Plus, with a total output of 185 watts, creates an enhanced sound experience with no fewer than seven loudspeakers. 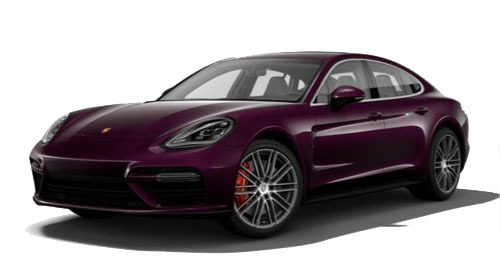 Audio settings are entered using the CDR audio system, the optional CDR Plus audio system, or the optional Porsche Communication Management (PCM). * Only in conjunction with PCM. Use of Aha Radio services with the optional telephone module requires activation of HFP mode in PCM. Any car manufacturer can integrate a sound system into a vehicle. Why not go one step further and embed the driver in a sound system? That was the aspiration for Porsche and Burmester® in the development of the optional Burmester® High-End Surround Sound System. 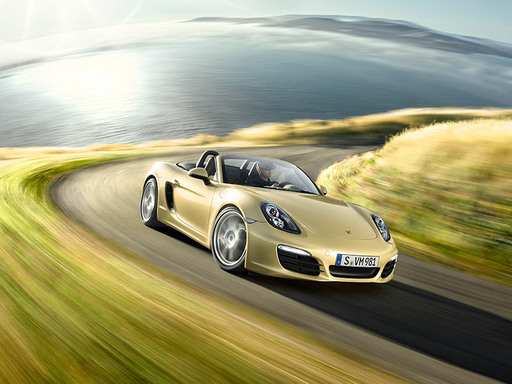 Conceived and tuned specifically for the Boxster, this is high-end technology â€˜made in Germany'. Components used in the car are as sophisticated as the components that Burmester® puts into its high-end home audio systems. How do the numbers sound? Twelve amplifier channels with a total output of 821 watts and 12 loudspeakers including an active subwoofer. The active subwoofer is integrated in the bodyshell itself. Not only does this provide ideal conditions for the sound, it is consistent with the principles of lightweight construction as applied in motorsport. Conceptually, we have broken entirely new ground. The analogue and digital filters of the crossover technology used have been optimally defined for their installation location and finely tuned following extensive in-car audio testing. The perfect interaction of all loudspeakers delivers superior bass foundation, definition and impulse accuracy. 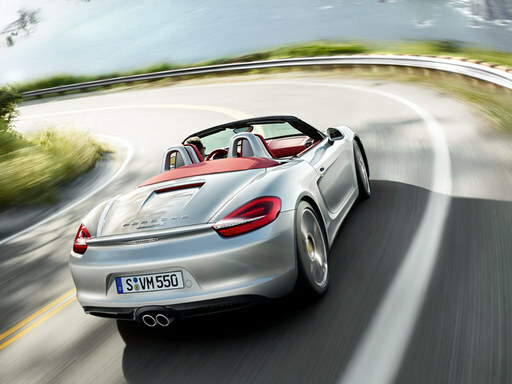 As yet unequalled in the Boxster, the result is a natural and richly textured spatial sound, even at top volume. All of this is achieved despite the system's remarkably low overall weight thanks to intelligent Burmester® lightweight technology. 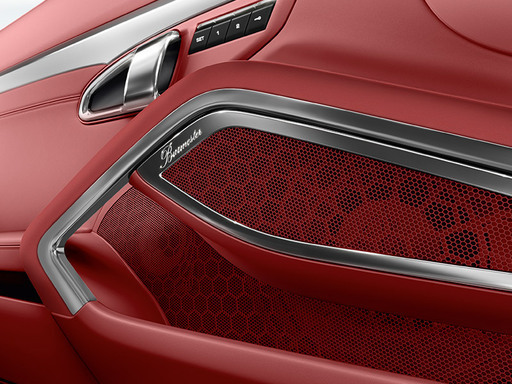 The pure, sporty design makes it clear that the appeal of the Burmester® High-End Surround Sound System is as much about the visual as it is the audio. Typically Porsche. The optional BOSE® Surround Sound System really strikes a chord. It comprises eight amplifier channels with a total output of 445 watts. 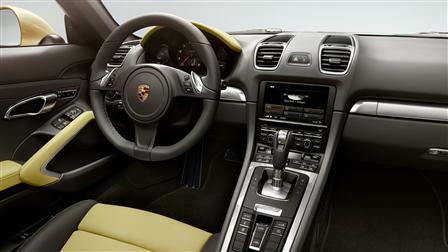 Its 10 loudspeakers, including an active subwoofer concealed behind the dashboard, deliver a balanced acoustic pattern. In combination with the CDR Plus audio system and optional Porsche Communication Management (PCM), the BOSE® Surround Sound System enables audio playback of DVDs and is thus able to make full use of the impressive sound spectrum of 5.1 digital recordings. Of course, you can still play other audio sources, such as CDs and MP3s, in stereo or, at the push of a button, in one of the virtual surround modes generated by BOSE® Centerpoint® 2. The BOSE®-patented AudioPilot® noise compensation technology uses a microphone to continuously measure the ambient noise inside the vehicle and adapts music playback instantly and automatically so that a consistent sound is maintained — whatever the driving conditions. The result is a balanced, faithfully reproduced sound and a captivating 360Â° acoustic experience. Where your journey takes you is in your hands. For this reason, the different steering wheels available for the Boxster models are mechanically adjustable and feature a high-grip rim in smooth-finish leather. 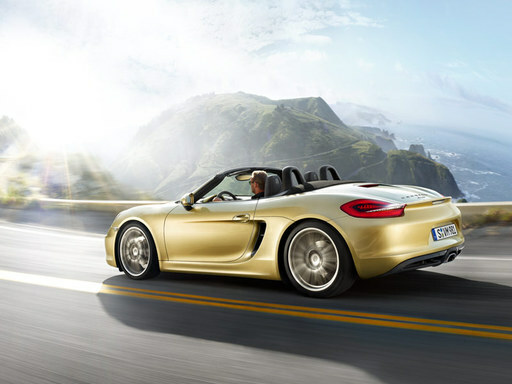 Alcantara, a material developed for motorsport, is used in the Boxster GTS. In combination with the optional fully electric seats, the steering wheel is also electrically adjustable, and for even more convenience, a memory function is included. 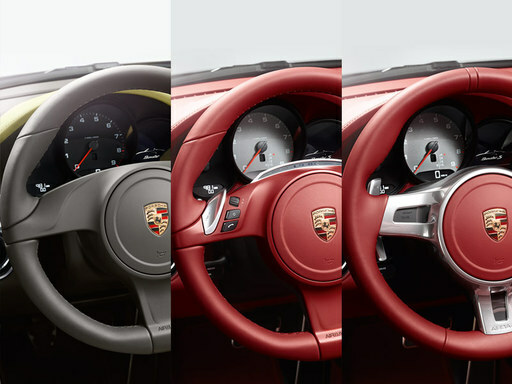 The three-spoke sports steering wheel is fitted as standard in the Boxster and Boxster S. In conjunction with the optional Porsche Doppelkupplung (PDK), it features two ergonomic switches. With the Sport Chrono Package and PDK options, there is an additional display above the airbag module to tell you whether the SPORT, SPORT PLUS and Launch Control functions are activated. The optional multifunction steering wheel provides extra comfort with the convenient operation of many audio, telephone and navigation functions. A twin-spoke design distinguishes the SportDesign steering wheel from the standard steering wheel. Available as an option for the Boxster and Boxster S and standard in the Boxster GTS. In conjunction with PDK, it features two alloy gearshift paddles ergonomically located behind the right and left steering wheel spokes. 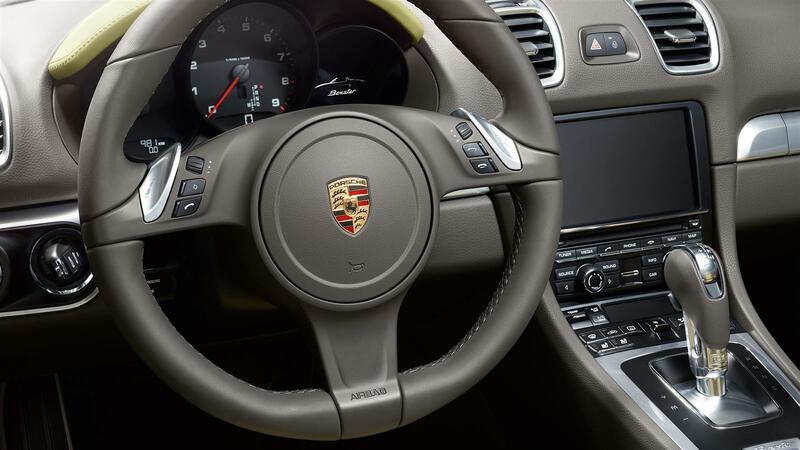 When combined with the Sport Chrono Package and PDK, the steering wheel has an additional display in the left- and right-hand spokes to indicate whether the SPORT, SPORT PLUS or Launch Control functions are activated. For extra comfort on those chilly days, a heating function is available as an option for the sports steering wheel and the multifunction steering wheel. 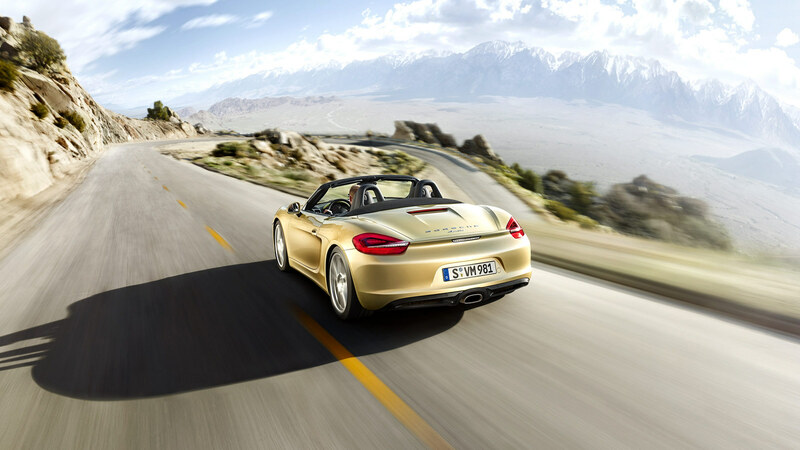 Cold weather should never be a reason to prevent you from enjoying your open-top driving experience. 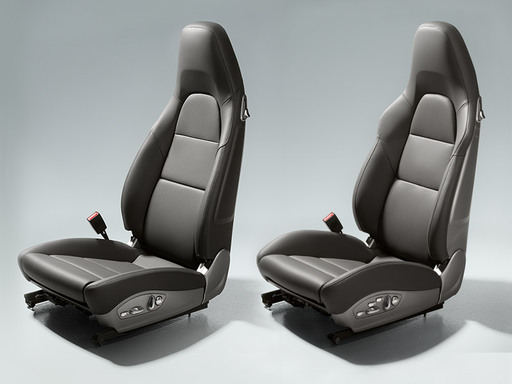 The Sports seats which are fitted as standard in the Boxster and Boxster S are comfortable and provide support even when the car is driven hard into corners. The seats have integrated electric backrest adjustment and manual height and fore/aft adjustment. The seat centres are finished in Alcantara. If you don't want to sacrifice sportiness for comfort, the optional fully electric Sports seats offer fully electric adjustment of seat height, backrest angle, squab angle and squab depth. Also electrically operated are the fore/aft adjustment, four-way lumbar support and even the steering column. 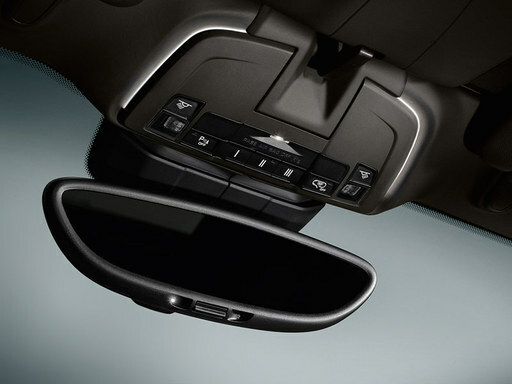 The included memory package supports a range of settings, including both exterior mirrors and all driver's seat and steering wheel positions. 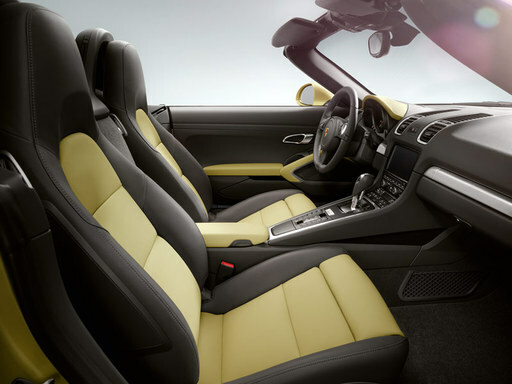 Sports seats Plus, upholstered in smoothfinish leather, are available as an option for the Boxster and Boxster S. They are fitted as standard in the Boxster GTS – including seat centres in Alcantara. The side bolsters of the seat squab and backrest are more prominently defined and have a firmer, more sporty padding for even better lateral support. To help you find the optimum posture, the seats feature electric backrest adjustment and manual height and fore/aft adjustment. For a stronger connection between sport and comfort, adaptive Sports seats Plus are available on request. These are an enhanced version of the Sports seats Plus with the added functionality of the fully electric Sports seats and adjustment of the side bolsters on the squab and backrest. Seat heating is available as an option for all seats. Seats are heated in the squab, backrest and side bolsters. In conjunction with seat heating, we can equip the seats (excluding Sports bucket seats and seats with centres in Alcantara) with seat ventilation on request. A slipstream effect is produced by the active ventilation of the perforated seat centre and backrest and by the passive aeration at the side bolsters. This evaporates perspiration moisture and therefore makes for a dry and pleasant seating environment, even in hot weather. 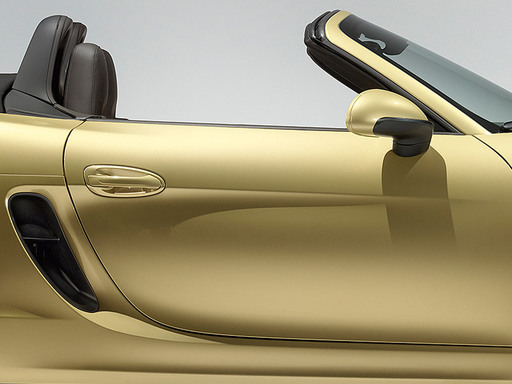 You may have thought the interior of your Boxster or Boxster S couldn't be any more stylish, but the optional leather package enhances its overall appeal by adding a leather finish to the instrument shroud, centre console storage compartment lid, seat centres, side bolsters and headrests, the door armrests and door pulls. These feature a silver-coloured trim strip, which accentuates the dynamic and sweeping design of the interior. You can choose between a minimalist single-tone interior, with one of the standard colours Black, Platinum Grey, Luxor Beige or Yachting Blue, and a two-tone combination of Agate Grey and Pebble Grey, Agate Grey and Lime Gold or Agate Grey and Amber Orange. The features in leather (on the seats, only the seat centre) are finished in the contrasting colour. As an option to the standard air conditioning system you can have two-zone automatic climate control with separate temperature controls for driver and passenger. 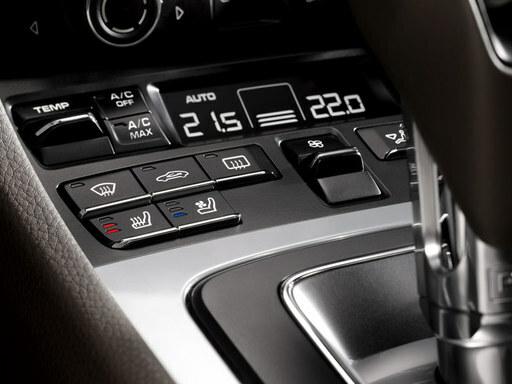 Three different air conditioning modes can be set. The optional quadband GSM telephone module offers convenience and excellent reception. By inserting a SIM card directly into the integral SIM card reader of CDR Plus or PCM, calls can be made using the hands-free facility. For even more convenience, the Bluetooth® capability of a mobile phone can be used to make calls via the SIM Access Profile (SAP). Once automatic pairing is complete, the mobile phone’s aerial is switched off to conserve battery charge and the phone operates via the car aerial. Depending on the mobile phone model, this gives access not only to the numbers on the SIM card, but also to the phone’s internal memory. Depending on the phone, it can also be controlled using CDR Plus or PCM, the optional multifunction steering wheel or the optional voice control system, without it ever leaving your pocket.The telephone module also enables you to establish a Bluetooth® link with those mobile phones that only support the Handsfree Profile (HFP). In this case, the GSM connection is always established through the aerial of the mobile phone. 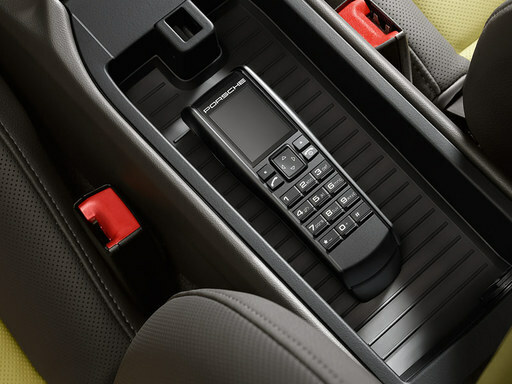 CDR Plus or PCM acts as a hands-free system and you can leave the mobile phone tucked away. In addition, the telephone module enables you to establish a Bluetooth® link with those mobile phones that only support the Handsfree Profile (HFP). In this case, the GSM connection is always established through the aerial of the mobile phone. CDR Plus or PCM acts as a hands-free system and you can leave the mobile phone tucked away. On request, a telephone module with cordless handset is also available for PCM. There is a Bluetooth® handset available on request for the telephone module. It is stored in the centre console and features a display and keypad. Bluetooth® mobile phone connection is also available separately with mobile phone preparation. * Only in conjunction with CDR Plus or PCM. Mobile phone preparation or telephone module in HFP mode: the use of a mobile phone inside a car may cause an increase in the interior electromagnetic field strength and, accordingly, in the electromagnetic radiation to which passengers are exposed. If a cradle is used to mount the mobile phone, the field strength in the passenger compartment can be reduced because the phone can be connected up to the external aerial (feature depends on how specific mobile phones connect to the cradle). For information about the availability of a cradle for your mobile phone, please contact your Porsche Centre. The use of the telephone module for PCM via Bluetooth® SAP connection or with inserted SIM card prevents exposure to electromagnetic radiation as only the car’s external aerial is ever used. The standard CDR audio system with 7-inch touchscreen has simple, intuitive controls. It has a CD radio — a six-disc CD autochanger is available as an option — including an FM twin tuner with RDS, 30 memory presets, dynamic autostore and speed-sensitive volume control. And four loudspeakers with a total output of 2 x 25 watts. The AUX interface in the glove compartment can be used to connect an external audio device such as a compatible MP3 player. Optional cruise control helps you stay within the speed limit, it also helps you to save fuel by maintaining a constant speed. 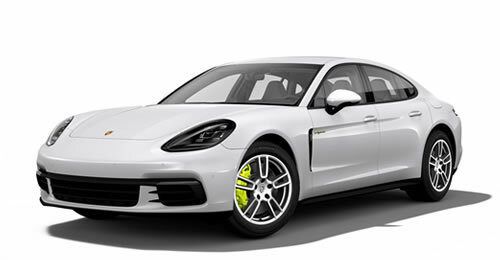 Also available as an option in conjunction with Porsche Doppelkupplung (PDK) is the enhanced version of cruise control, which regulates the speed of your vehicle in line with the speed of the vehicle in front. A radar sensor scans the road ahead up to a distance of 200 m.
You have selected a cruising speed but have begun to gain on the vehicle in front because it is driving more slowly – this is detected by the radar sensor. The system now reduces the speed of your vehicle by restricting throttle or by gently applying the brakes until your chosen distance from the vehicle in front is maintained. If the vehicle ahead slows further, adaptive cruise control will decelerate your vehicle accordingly – even down to a halt. For increased safety, the system also readies the brakes whenever it detects that the distance from the vehicle is decreasing. However, the driver should be prepared to intervene manually if heavier braking is required. As soon as the road ahead clears, your vehicle will accelerate back up to the cruising speed originally set. 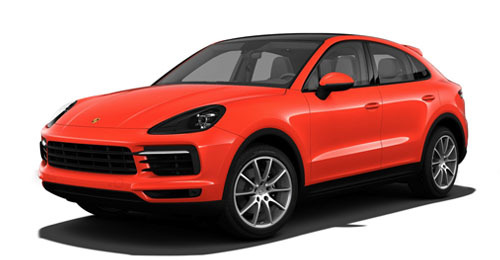 Porsche Active Safe (PAS) issues an audible and a visual warning if the system detects that your vehicle is approaching the vehicle in front too quickly. This is accompanied by a brief application of brake force and, where necessary, the initiation of targeted braking. During this process, any braking by the driver is boosted to achieve the maximum braking force that the system is able to provide. Optional ParkAssist is activated the moment you select reverse gear. An audible signal gives a warning if you reverse too close to an obstacle. An enhanced version of ParkAssist also provides monitoring of the area to the front of the vehicle. Ultrasonic sensors are neatly integrated into the front and rear aprons. The audible alert is supplemented by a visual warning in the central display of the CDR audio system, optional CDR Plus or optional PCM, which shows a graphical representation of the vehicle from overhead. Comfort, even when reversing. The optional reversing camera using a camera image and dynamic guidelines to help you with precise parking and manoeuvring. The optional light design package comprises dimmable LEDs in the overhead console, in the area of the door handles, in the door storage compartments and in the footwells. LED illumination of the luggage compartments and in the vanity mirrors of the sun visors is also included with the light design package. The programmable garage door opener is integrated into the overhead console and remotely controls up to three different garage doors, gates, home lighting and/or alarm systems. The â€˜Welcome Home' lighting function automatically switches on the LED daytime running lights for a user-defined period whenever the vehicle is opened or closed using the key remote. With the optional Porsche Entry & Drive, you can keep your car key in your pocket. Because the door or the luggage compartment lid unlocks as soon as you take hold of the door handle or put your hand close to the front or rear panel. The vehicle is started and stopped with the electric ignition switch. Think a sense of freedom isn't available at the push of a button? Think again. The Boxster models are equipped as standard with a fully electric hood. With the engine running, the opening and closing processes are completed in around nine seconds. The hood is operable up to a speed of 50 km/h. When the vehicle is stationary, the hood can even be operated remotely using the vehicle key. 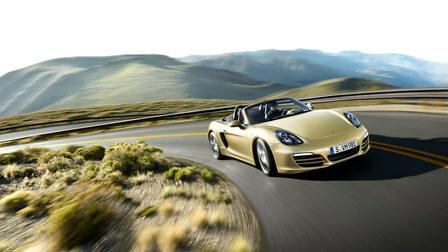 The hood design blends in elegantly with the contouring of the Boxster models. As a key design feature, it accentuates the stretched side view of the vehicle. The hood flows backwards and sweeps into the body. 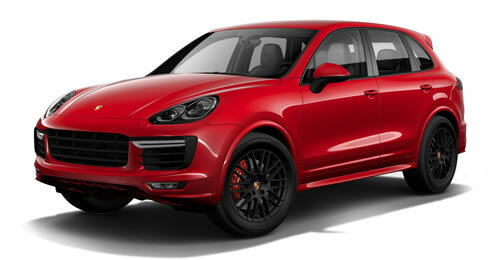 The especially powerful silhouette promises excellent dynamic performance and delivers impressive aerodynamics. The hood stows away compactly above the engine compartment without reducing the luggage compartment volume. The hood motor runs exceptionally quietly and the state-of-the-art soundproofing fabric is robust and improves interior acoustics. The large rear screen is made from glass and is electrically heated and scratch resistant, so you can continue to enjoy your freedom whatever the weather. 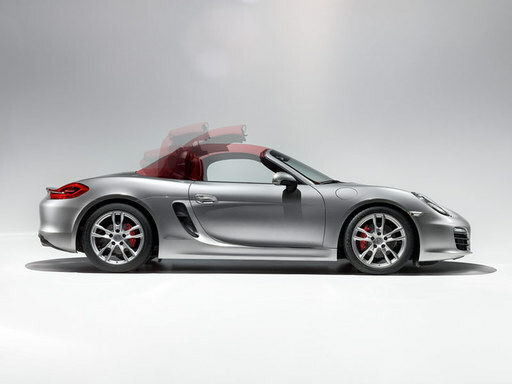 A wind deflector is fitted as standard in the Boxster S and Boxster GTS and is available as an option for the Boxster. It reduces air turbulence in the cabin and fits easily to the roll-over bar. Ingenious storage solutions create plenty of space: the lockable glove compartment, the compartment with a power socket under the armrest in the rear centre console and the uncovered compartment to the front of it. In conjunction with the smoking package, the uncovered compartment makes way for an ashtray with a lid. Other storage features include two compartments in each door, a net in the passenger footwell, clothes hooks on the backs of the seats and two practical cupholders above the glove compartment. 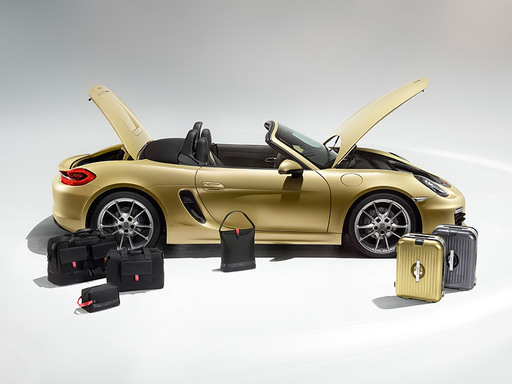 The two luggage compartments are further proof that the Boxster harmoniously combines the spirit of sport with everyday practicality. The front and rear compartments have a capacity of 150 and 130 litres, respectively, regardless of whether the hood is up or down. The interior surfaces are carpet-lined and the lids are made from aluminum. The two service openings in the rear luggage compartment provide convenient access to the coolant and engine oil filler caps. 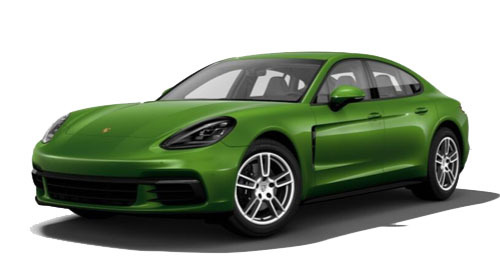 Vehicles manufactured by Porsche demonstrate that even high-performance sports cars can achieve moderate fuel consumption and exhaust emission values in their respective category. 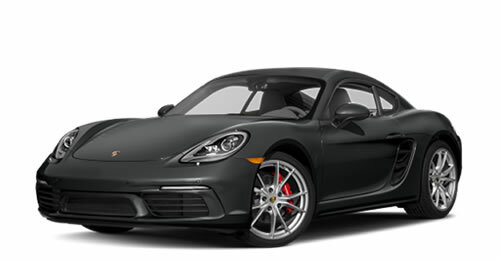 This is achieved, on the one hand, by the use of fuel-efficient technologies such as direct fuel injection, VarioCam Plus, thermal management, electrical system recuperation, auto start/stop and, in conjunction with optional Porsche Doppelkupplung (PDK), coasting mode. On the other hand, newly developed catalytic converters provide efficient emission control.While the stereo Lambda control circuitry controls and monitors each cylinder bank separately. For each exhaust tract, Lambda sensors, together with the engine electronics and injectors, regulate the composition of the exhaust gas, while another Lambda sensor on each cylinder bank monitors pollutant conversion in the respective catalytic converter. Intelligent lightweight construction has been fundamental to the Porsche identity since 1948 for both technical and ecological reasons. This forms the basis for achieving low fuel consumption values in conjunction with outstanding performance. On the technical side, various components are made with a high proportion of aluminium, magnesium, plastics and super-high-strength sheet steel. The materials used have been selected for their ability to withstand load, yet they are considerably lighter than conventional steel. 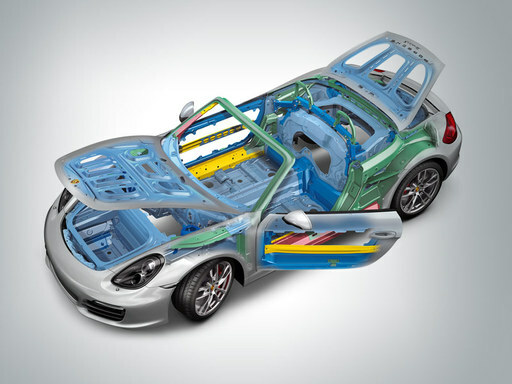 As a result, the bodyshell of the Boxster models has a light-alloy content of approximately 46 %. On the ecological side, all materials utilised are meticulously selected. We use only innovative and environmentally friendly components. All synthetic components are easily recyclable and each material is labelled to facilitate its separation for recycling. The reduction in the number of plastic variants helps to ensure more efficient recycling. Recycled plastics are used where they meet our exacting technical requirements. 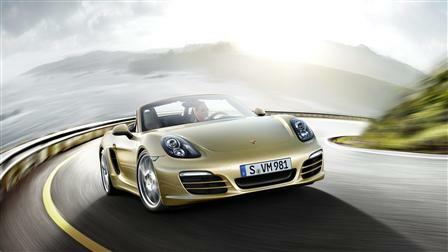 In short, the Boxster is around 95 % recoverable. 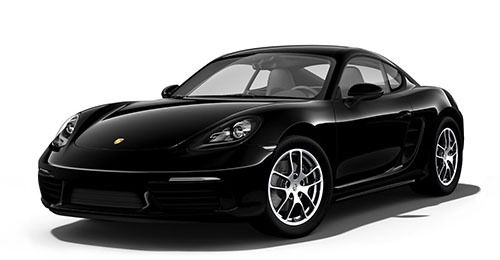 The Boxster models are designed to operate on fuels with an ethanol content of up to 10 %. Ethanol has a positive impact on the CO2 balance since the plants grown for the production of this biofuel also absorb CO2 from the atmosphere. The release of hydrocarbons from the fuel system has been minimised thanks to the active carbon filter and the multilayered material from which the fuel tank is made. All fuel lines are made from multilayered plastic, steel or aluminium. Fuel tank 14.3 gal. 14.3 gal.